Third show in '1959: The Year that Shaped Jazz' series. 1959 is a key year for jazz, marking not only the release of some of the finest albums ever, but also the founding of Ronnie Scott's Jazz Club. This is the third in a series of shows presented by the Ronnie Scott's Club Quintet, featuring live renditions of 6 classic Jazz albums released in 1959: Miles Davis "Kind Of Blue", John Coltrane "Giant Steps", Dave Brubeck "Timeout", Ornette Coleman "The Shape Of Jazz To Come", Charles Mingus "Mingus Ah Um", Bill Evans "Everybody Digs", as well as the story of the opening of Europe's most famous jazz club: Ronnie Scott's! 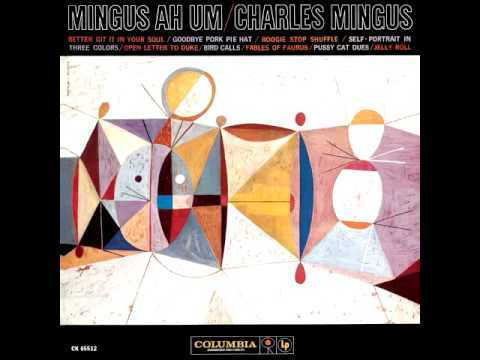 Mingus Ah Um is a studio album by American jazz musician Charles Mingus, released in 1959 by Columbia Records. It was his first album recorded for Columbia. The cover features a painting by S. Neil Fujita. The album was inducted into the Grammy Hall of Fame in 2013, and was chosen as one of the 60 most significant albums of the last 60 years by a panel of industry experts in the Ronnie Scott's Jazz 60.